If you feel overwhelmed after giving birth, you are not alone. The lack of attention given to new mothers in our society is disheartening. Gone are the days of being surrounded and guided by your “village” of grandmothers, mothers, aunties, and cousins. The “fourth trimester” is real, and new mamas need to take care of themselves as well as their families. After completing the enormous task of growing and birthing a human being, new mamas are often left on their own to figure it all out. The demands of raising an infant combined with the hormonal roller coaster of motherhood, sleep deprivation, isolation, a body healing from childbirth, a weakened and overstretched core, and countless hours spent in hunched over positions (nursing, baby wearing, changing diapers) can wreck havoc on the body. Postpartum support is not a luxury! Making the time to care for your physical and mental self after giving birth should be an essential part of your birth plan. 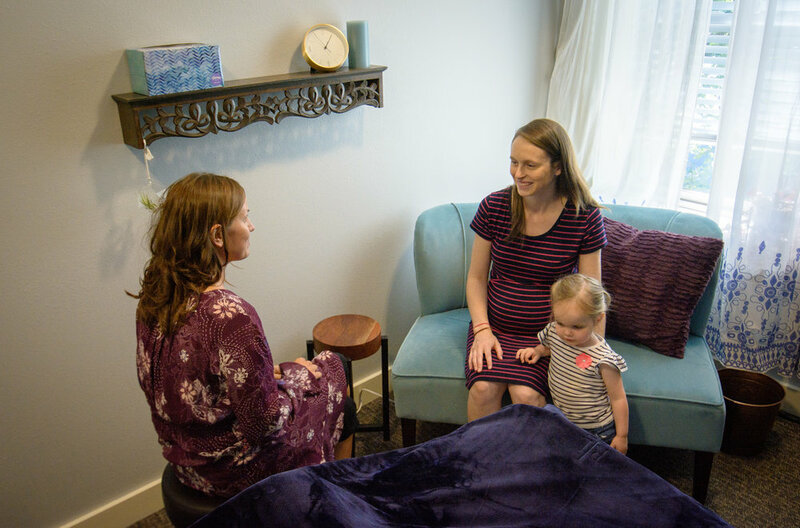 Many physical, psychological, and spiritual changes occur in the initial weeks postpartum. Six-week postpartum checkups are typically brief encounters, where you may or may not be reminded to do your kegels. An entire year could easily go by between the postpartum farewell and the next check up. Postpartum chiropractic can bridge this gap in health care. New mamas should be adjusted shortly after giving birth to quicken recovery time and normalize overall pelvic and spinal bio-mechanics. Moms are encouraged to seek care as soon as possible after giving birth. Babies and older kids are always welcome to tag along at appointments.